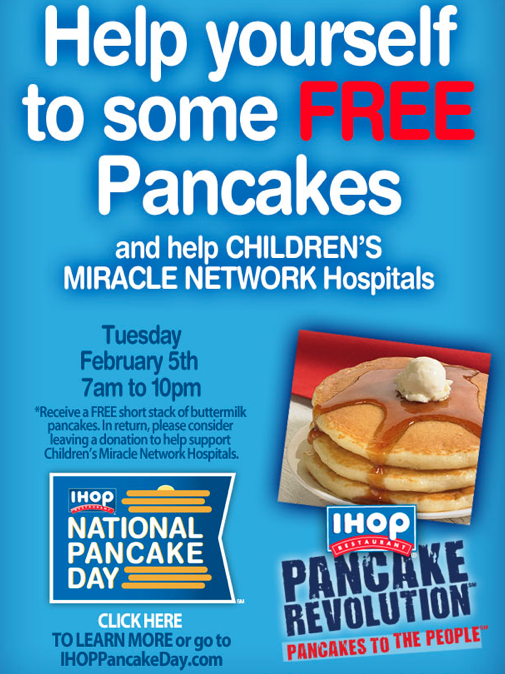 IHOP is giving away a FREE Shortstack of Buttermilk Pancakes on Tuesday, February 5, 2013 from 7am – 10pm. In return all they are asking for is a donation to help Children’s Miracle Network Hospitals. There is a limit of 1 free pancake short stack per customer. Mark it on your calendar! FREE Entrance to National Parks FREE Photo Calendar – Extended Promo Free Scary Face Pancake at IHOP!